Family owned by the O'Reilly family, hailing from Kildare in Ireland. Lanzarote is a very special place and love to visit as much as possible. Love the area of Lanzarote for its character and the Old town for its charm and good food. The local artist Cesar Manrique has really helped Lanzarote keeps its Canarian heritage. The bathroom consists of wash hand basin,toilet, washing machine, bath and shower. Towels are supplied. The apartment comprises of the kitchen with cutlery and dishes, cooking utensils, oven and hob,fridge, and four seater table for meals. I booked this property for 3 weeks and realised there was no spare bedding. When I asked for a change I was told there is a washing machine in the bathroom the weather is good so you can wash dry and put back on. Cian seemed under the impression that I had paid him to go on holiday and clean his apartment. Not to mention taking work off the cleaner when I complained he sent another set of bedding. 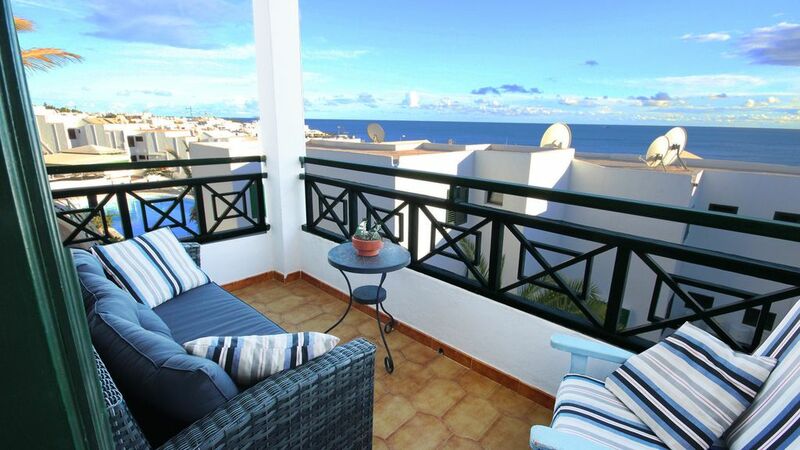 Lovely apartment that is well situated for restaurants in the Old Town, the harbour for boat trips to Puerto Calero, various supermarkets and 5 minute walk to bus stop for links to Arrecife, Playa Blanca and Costa Teguise. The apartment is clean and has lovely sea views. A good base to either relax or walk into main town. Good location. Good size and good layout. The apartment is well decorated but could do with a bit of cosmetic attention though this criticism may be a little harsh. The fridge could do with replacing as the ice box doesn’t work properly- no ice for the G&T !! All said, would we go again? Yes.